Happy New Year! 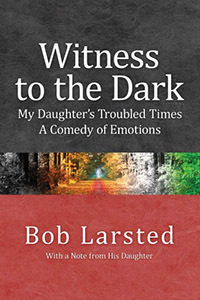 Check out the amazing Amazon Kindle Countdown Deal on my book, Witness to the Dark: My Daughter’s Troubled Times. A Comedy of Emotions. Just 99 cents through Saturday, then $1.99 for the rest of the weekend before returning to it’s regular, low price on Tuesday. Amazon.com. You don’t even need a Kindle Reader. Read it using a free app on your computer, your iPad, even your phone. This entry was posted in Book, Muted and tagged amazon, book, kindle. Bookmark the permalink.